A FINE GAEL TD has called on the government to introduce a scheme which could see it recoup some of the money used to provide Criminal Legal Aid. Figures released to Paudie Coffey show that Criminal Legal Aid has cost the taxpayer more than €188 million over the past three-and-a-half years. Since this government took office, the annual spend has been reduced by about €5.6 million annually. In 2010 and 2011, the total expenditure was €56.5 million and €56.1 million respectively but the corresponding figure for last year was €50.5 million, with the spend for 2013 looking set to hit the same mark. Justice Minister Alan Shatter noted that the reduction of 10 per cent is “the largest ever recorded”, achieved through savings measures and cuts to fees introduced during 2011. Currently, the State recoups money from the Civil Legal Aid scheme through financial contributions from those receiving services. C0ffey says a similar programme – which recoups money from its clients through disposable income and/or disposable capital, where possible – could be introduced for Criminal Legal Aid. “Under such a system, people who avail of the Criminal Legal Aid Scheme and are subsequently convicted of a crime, would have to repay a certain amount to the Exchequer by contributing through liquidation of their assets or through weekly deductions,” he proposed. 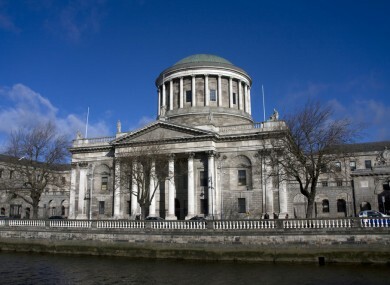 Email “Criminal Legal Aid has cost the State more than €188 million since 2010”. Feedback on “Criminal Legal Aid has cost the State more than €188 million since 2010”.